Something big is on the horizon… something long overdue! Perhaps you’ve seen teasers on Facebook– pictures of fabulous looking cocktails and hints of what’s to come. It’s here! The Golden. 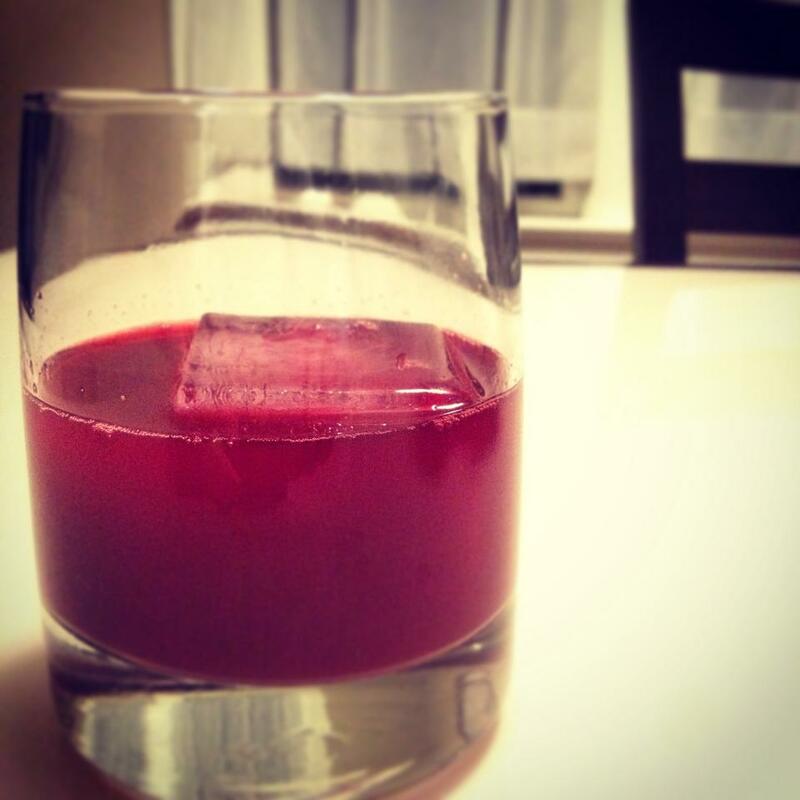 Two renowned area chefs recognized the gaping hole in our city when it comes to craft cocktails. Sure, you can get a martini or an Old Fashion just about anywhere in town, but that’s not what we are talking about. We are talking about fresh, homemade elements prepared specifically for the individual drink recipe. We are talking about infused bourbons, custom glassware, signature syrups, and small batch bitters. 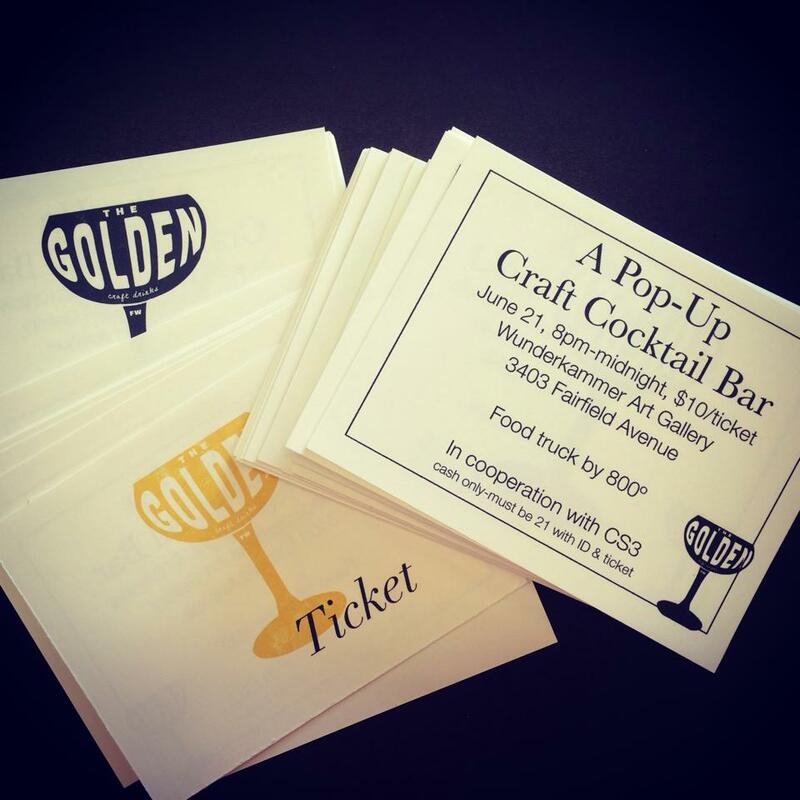 On June 21, The Golden, a pop up bar, will host its first event at Wunderkammer. Aaron Butts and Sean Richardson, the brains behind the operation, want to bring unique craft cocktails to the Fort. They’ve been making their own bitters and infusions and they’ll be using products from local farms like eggs, beets, strawberries, corn and herbs. In addition to cocktails, the event will feature food from 800 Degrees, and a surprise apertif for guests when they arrive. Admission is $10 and tickets are available at Wunderkammer, Mocha Lounge or Mad Apple Crossfit. Tickets are limited – only 100 available. 2- Sharing this blog link via Facebook or Twitter. I will announce the winner next Wednesday! My favorite cocktail would be spicy bloody mary with lots of yummy garnish. Or a really good vodka and tonic. My favorite cocktail would DEFINITELY be something infused with vodka, mint or like lavender. Just something only a great mixologist would know how to make but everyone could enjoy. Bloody Mary with a pickle is always a great treat! Love trying new cocktails! Caipirinha! I’m not too great at making them. The best I’ve had was once when I met up with a guy at Mad Anthony’s who was from Brazil. He offered to have us over and make a round. I got excited when the brazilian buffet opened in Jefferson Pointe, with all their different varieties of cachaca. Alas, I they are poor quality for the $9.49. Old Crown does a pretty good job though. Would like to try some variations on this classic cocktail. Main St. Bistro has a mighty fine Manhattan that they developed using terms I don’t understand or comprehend, but I assume include sorcery and hypnosis. Also, the Sazerac is also super tasty at Bourbon Street Hideaway. Does this count as 2 entries into the contest? One of my trips to see the fam in SC featured an outing where I had a mind-blowing blueberry mojito. Now that’s how you serve up a superfood! Mojito made with Palmyra Rum and palm sugar, at Passions on the Beach in Aruba! Amaretto sours are where it’s at! Definitely my favorite. In the hot days of summer I tend to reach for clear booze paired with a citrus component, and a good gin and tonic will always hit the spot. But for the past few years I have really grown to love the Negroni. Although it has no citrus, the Campari adds a bitter component that really refreshes when the weather gets hot and you are sitting along the shores of any body of water. For the remainder of the year, not to exclude the summer months when I am sitting along the shores of any body of water, I reach for a Backbone, one rock. I am super excited for this! My current favorite cocktail I can get around town is the Moscow Mule, The Deck adds mint into it which is yum! My favorite cocktail I can’t get in town is the Aviation: Gin, Maraschine Liquor, Lemon Juice, and Creme De Violette. This looks amazing! Not a huge fan of vodka so I love ordering my Moscow Mule with Jameson instead. Perfect on a hot summer night. My favorite cocktail? Bourbon and water. It’s the only one I know. I should probably start enlightening myself at events such as this. I’m typically not a fan of coconut but when vacationing in the Dominican Republic the resort served a sip of heaven called a coco-loco. No combinations of coconut milk, coconut water, and light or dark rum back home have ever replicated this delight. My kingdom to the first chef to create a Coco Loco here. I am still looking for my favorite cocktail. I enjoy all types of beer and a dirty martini now and then. But still searching for my go to drink. In the meantime I’ll enjoy researching. This rocks! What time is the event on June 21? A RIEHLE good Bloody Mary, with Sriracha and some pickled green beans. It should be like a garden up in there!